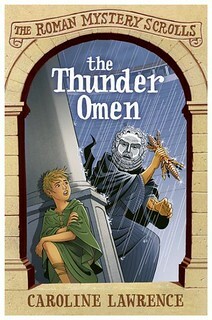 After some slow days with me picking up the ‘wrong kind of book’ I was relieved to settle down with Caroline Lawrence’s The Thunder Omen. It’s her third Threptus mystery, and as such is short and a quick read, and it would be easy to think that such books aren’t for the adult reader, or for review, even when it’s one of Caroline’s. I really must forget all such thoughts, because it was not only precisely what I needed, but an exciting mystery and a history lesson, served up with humour. Who knew ‘a leaky shack full of damp chickens’ could lead to romance and culture and sheer fun? It’s Christmas – or Saturnalia, as they called it – and Threptus is trying to enjoy it as much as he can, despite the cold and wet and the lack of money. They need a new roof, and Floridius is selling stolen clay figurines holding clay croissants. (They are ‘really’ thunderbolts, but Threptus sees food everywhere.) And unfortunately Bato’s engagement to Lucilia is still not in order. Floridius and Threptus set out to sort things out, but despite fake thunder and dyed chickens, they fail at first. WWLD (what would Lupus do?) helps Threptus work out solutions to their problems, and when that’s not enough he can think for himself. We get to visit a Roman theatre, and once she has stopped being scared of thunder, Lucilia has some fun. It’s all very educational and very romantic. I’ve said it before, but those chickens are marvellous. And so are these little books, with so much goodness in them. 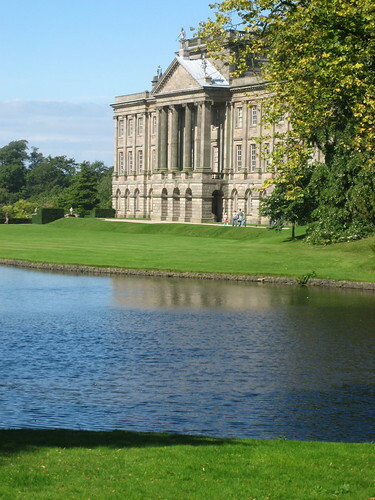 Couldn’t help noticing there’s been a lot of Pride and Prejudice stuff everywhere. I’ll pitch in with the famous puddle, now that we supposedly will be flooded again. This swimming pool is more elegant than the one at the bottom of the Bookwitch garden. But strictly speaking I’d say the stretch of water in the photo is a similar distance from this – slightly larger – house, although I daresay it’s not all rain water. I would like it to be summer again. Or spring. Something with sunshine and a little warmth, and less of the H₂O from above. I won’t absolutely require Colin Firth to make an appearance, but if he did that would be perfectly fine. Reading is easy to take for granted. Even though there was a time when I couldn’t read, and even though I remember that my first ‘real’ book (Famous Five) took me a week at age seven, you soon unlearn what went before. So I read. I used to read very fast (at least I thought I did), and now I’m rather slower again, but I read. And you know that delicious feeling you get when you discover that the book you’re starting on is one of those really special ones, that will – almost – change your life? I suppose I must have felt like that, all those years ago. Realising that my Treasure Island experience could just go on and on. Rather stupidly, I hadn’t thought too much about what it might be like to be dyslexic and not read, and then to find something like the Barrington Stoke books and find that you can. You are actually reading! Or to be the parent of such a child. Hopefully it is a child. To become an adult and still have nothing you can read seems too sad. Browsing the booklet about the books Barrington Stoke are planning to publish to celebrate their 15 years of making readers out of people, made even me excited. There is something so satisfying in finding that top authors are writing Barrington Stoke books. 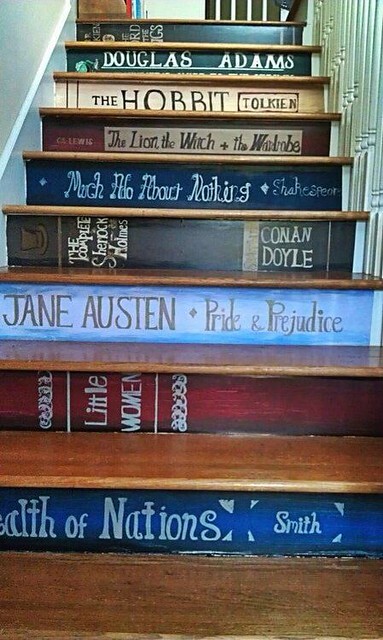 If I could, I’d read them all. As it is, I have read two of the January titles, which are both quite mature and quite scary and strangely both about dead people and consequences. Keith Gray has written You Killed Me! which is a marvellous story. Imagine waking up and finding a man at the end of your bed. A man with a hole in his head, accusing you of killing him, and demanding you put things right. I’d like for these two books to start someone’s shivers, either when they discover reading for the first time, or as two more great reads following many earlier ones. 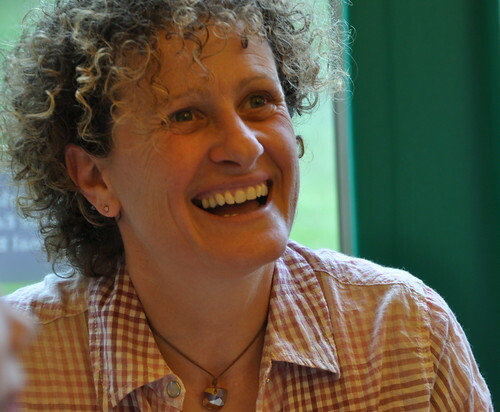 To celebrate the publication of North of Nowhere, Liz Kessler has stopped off on her blog tour to tell us precisely what she thinks budding writers can and should do. She was part of the panel event at MMU in June, and I thought it’d be good to hear more of what Liz has to say on the subject. Because she has been there. “I’ve often heard people say that you can’t teach someone to write. Write creatively, that is. I think we’d all agree that you can teach people, literally, how to write. It’s done every day in schools across the land. I think that there is perhaps a teeny tiny bit of truth in this. I don’t believe, for example, that any amount of attending art courses would ever turn me into Picasso. I regularly play ‘Draw Something’ on my iPhone and have never got beyond stick men. I have attempted to draw mermaids for fans of my Emily Windsnap books and the pictures – at best – resemble a character out of Casper the Ghost. However, I could probably (possibly) be taught a few tricks and techniques that could enable me to develop my drawings a bit, and perhaps learn enough to be able to enjoy sitting by the sea painting the scene in front of me for an afternoon. And if I did have some talent but had never been given the opportunity to develop this, I could be taught an awful lot more, and could possibly go quite a long way with my art. Maybe even get it to a point where I could make some money from it. All of this is the same with writing. I have taught many writing courses where I have seen people who don’t realise they are talented develop and grow as writers. Finding their voice and their style and gaining confidence as they listen to feedback from their peers and teachers. This is an absolute joy for me, and something I love to do. And I’ve been on both sides of this situation. It was a writing course that helped start my own writing career. I had left a teaching job to take on a more temporary and part time contract so I could focus on writing. At the same time, I enrolled on an MA in Novel Writing at Manchester Metropolitan University. (Just down the road from the Witch’s own abode.) This course was instrumental in helping me learn how to become a writer. I think that I already had some skills and I certainly had a passion – but the course helped me hone all of this. The workshops, in particular, really focused my mind and helped me to develop my craft. Knowing that you have to produce 5,000 words for an audience who (in your mind) are ready to hungrily tear it to pieces really helps you to produce the best work you can. Having to do this every other week gave me a discipline and respect for deadlines. And listening to what people (fellow students and teachers) said about my work helped me to learn how to deal with criticism. All of it helped to take me from being someone who liked writing but didn’t know exactly where I wanted to go with it or what I wanted to do with it, to someone who considered myself to be a writer first and foremost and to commit myself to writing books, honing my skills and getting published. So I would like to thank the MMU for this opportunity, and also thank all the people who put their time, effort, hard work and considerable amount of talent and expertise into running courses like this. You guys change lives. Don’t get me wrong. I don’t believe that these things are for everyone. And I don’t believe that everyone ‘has a book in them,’ a phrase that some people bandy about without really thinking about it. Why are you choosing my profession as the one that anyone can do? Have you ever thought how crazy (and mildly insulting) that sounds? Why not say that everyone has a brain surgeon in them, or everyone has an Olympic marathon race in them? Because it’s nonsense, that’s why. Same applies to writing books! Not everyone can do it – but a lot of people who believe they can’t but would love to try, might just manage it, given the right support and a lot of hard work. So for those who have an interest in writing, a passion, and, yes, an inkling of a seedling of a possibility of some sort of talent – go for it. Try it out. 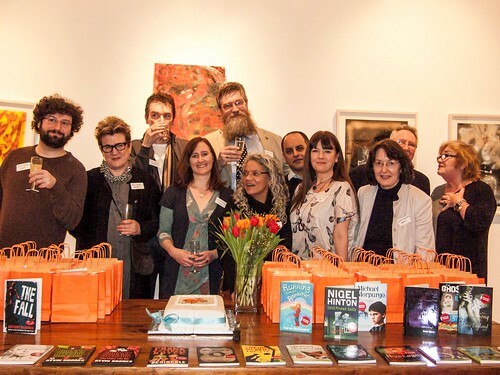 It might be an MA like the one I did, or a week’s residential course with someone like the Arvon Foundation (or even with me if I ever get round to setting up the St Ives-based writing holidays that I plan to one day!) Or it might even just be getting a group of friends who love writing to meet up regularly to support each other. Being part of a group like this where you are focused on the writing and getting some sort of encouragement to go forward with it is one of the best things you can do. If I said that this has given me hope, you will – erroneously – believe I’m thinking of me. I’m not. I’m thinking ahead to the books I’ll get to read one day, because someone enrolled at MMU, or similar. I’m afraid I don’t know who I am. Usually I can tell that people (children, generally, but children are also people) who contact me have been reading the Derek Landy interview or something about Jacqueline Wilson, and they are under the impression I am them. This week I heard from a charming young man who loves my books and he is doing a profile on me for school and the school would like me to visit them. Again. It seems I’ve already been. They will pick up any travelling costs I may have, although my fan might be wrong on that. My research tells me the school is in Nova Scotia. I’m really looking forward to it. Someone who might be in Notting Hill – or she might not – is SH, who contacted me (see, I’m really very popular) and said she felt like applying for that job in Notting Hill. I wished her good luck. I’ve not heard from her since. 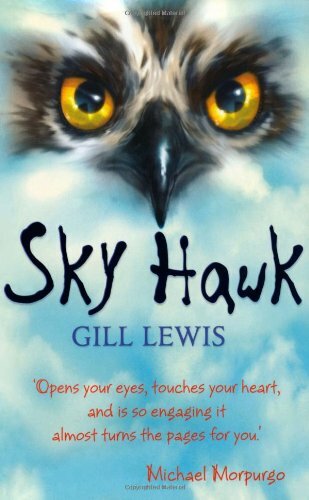 To end on a happier note, above is the winning book from the Salford Children’s Book Award, Sky Hawk by Gill Lewis. I’m the first to admit I’ve almost overdone the ‘house and interiors’ thing recently. It could be the fifty-something itch. Anyway, if I did instruct someone to paint me some spines; what books would I choose? Should they try and look real, or would anything do? Alphabetical? Colour co-ordinated? When the Resident IT Consultant heard that I’d asked another man out to dinner, I had to placate him by lending him a copy of Grk and the Phoney Macaroni. That’s because the man was none other than Josh Lacey, who is also Joshua Doder,* who writes about the adorable Grk. Speaking of hotels; they shouldn’t be allowed to name and build them in such a way that authors don’t know where they are staying. We almost led someone astray after the meal. I found Josh and the Dark Lord in the bar at the Lowry last night, where I had gone to warm up, and they for a glass of something. Before long I forced them to go out and search for Gill, who had abandonend the end of a very good book to dine with us. We talked about a lot of things. The Dark Lord talked the most, and he is very keen on games. And similar stuff. He knows about smörgåsbord, and there was a rather unfortunate conversation about eating elk. Some people go to awards nights away to sleep, when sleep is hard to come by at home. (On that basis, maybe there should be even more events away for the sleep deprived.) Gill, who is a vet, writes about animals, and the Dark Lord got busy thinking one up for her next book (which, if it mentions too much gamesy stuff is all his fault) to top ospreys, dolphins and bears. It seems dung beetles are the answer. There was some speculation as to who will win today’s award. Most of our money is on Frank Cottrell Boyce, but I’m sure we could be wrong. It might be one of the dinner guests. Or Barbara Mitchelhill, David Logan or Lissa Evans. Who knows? I gather Alan Gibbons is doing the talking again this year, so I wish I could be/have been there. But as usual, I’m happy for the children of Salford who have read and voted and hopefully generally enjoyed this year’s award work. And my fellow diners might never have the same kind of bank balance as JKR, but they are great company, and only ever so slightly slow at ordering food. At least one of us was starving, and another very sleepy. Actually, that makes two of us. There was some speculation on the feasibility of a Jacqueline Wilson sci-fi novel, and why not? The odds are better than for me getting the hang of modern mobile phonery. I tried texting my guests. I tried answering my phone. I’m pretty useless at it all. Maybe it’s because I’m a foreigner that I don’t distinguish between more and longer. I meant longer. I never knowingly insult children’s authors. Thank you, Gill, Josh and Jamie. PS Gill Lewis and her Sky Hawk won!!! * I am sorry to have to tell you (well, not that sorry, actually) that Joshua Doder is now dead. Kaput, as Josh Lacey put it. He is taking over his alter ego, and from now on Grk will belong to him.